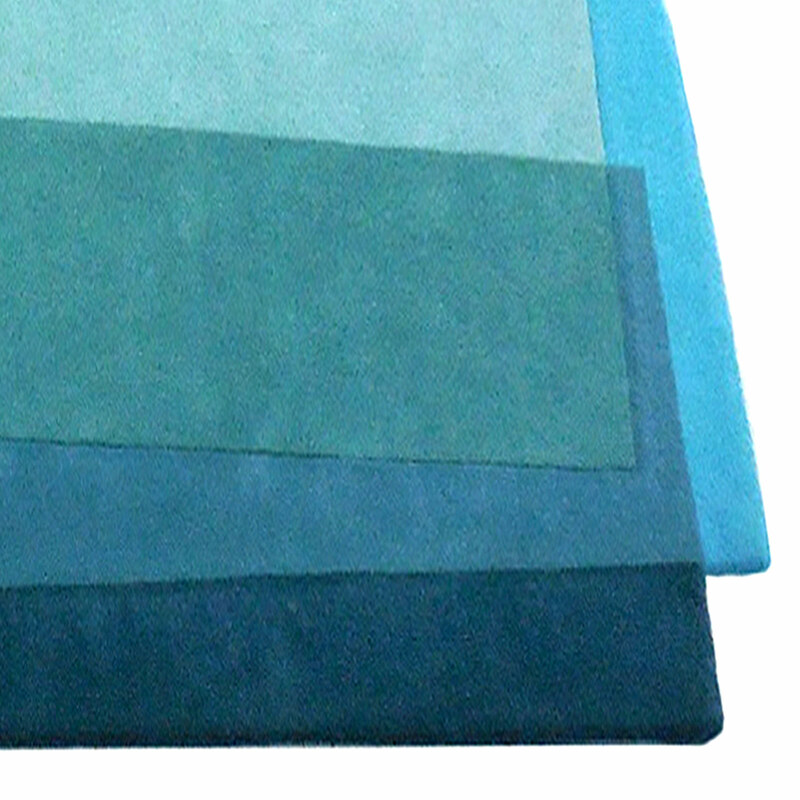 Aqua Teal Sea is a calming teal rug, inspired by the crystal turquoise waters around the islands in the Mediterranean and Sonya’s ongoing fascination with colour mixing. This modern teal rug is hand tufted in pure New Zealand Wool by GoodWeave artisan craftsmen, in an eco friendly process based entirely on natural products. Handmade and hard wearing, this is an easily washable designer rug, which can be just as effectively displayed as a wall hanging. We have been looking for the perfect unique rug for our apartment. My husband is an architect and I am a design consultant. We saw a picture of the rug and knew it was the one! We met Sonya at the AD show in NY. We loved the rug even more when we saw it. We have it home and its perfect. Thanks Sonya! You and the rug are AMAZING!